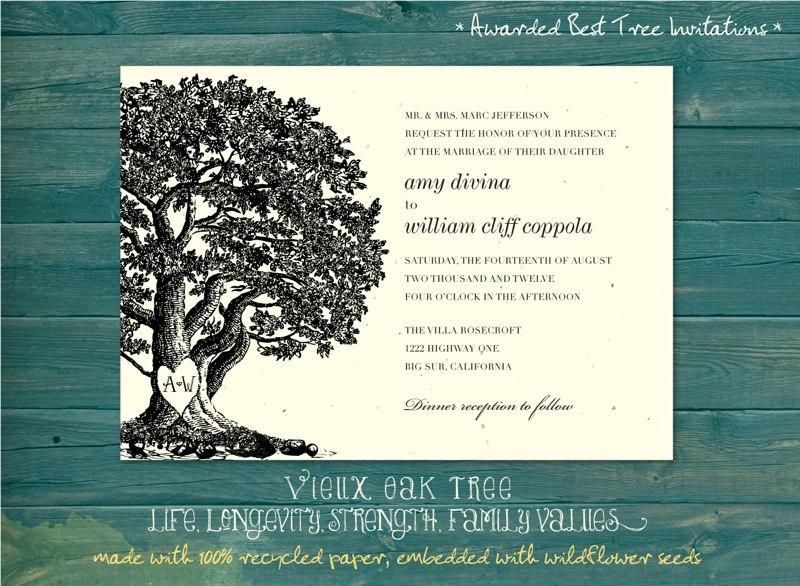 Amy and William were planning an elegant outdoors wedding and these tree wedding invitations were exactly what they were looking for in order to set the mood for their romantic day. 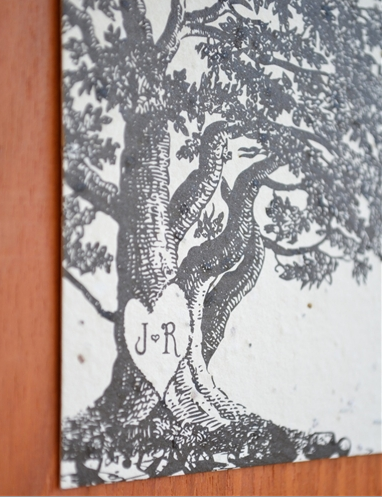 These Vieux Oak invitations were completely personalized not only with their wedding information but also with a heart 'carving' on the tree with their initials. It was exactly what they wanted to let all of their friends and family share in their special day. These invitations are unlike what you've seen other places for a variety of reasons. For one thing, all of the invitations from ForeverFiances are 100% recycled paper. 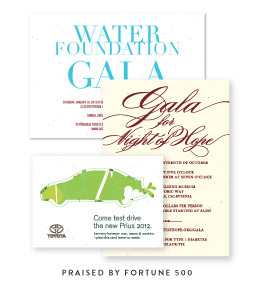 That means when you use these invitations you are saving the environment. You will be saving trees from being cut down at the same time as you're showing your love for them with these beautiful designs. Not only this but your invitations are available in plain, recycled paper, or embedded with seeds so that your guests will be able to have a beautiful gift better than any card. Instructions are easily available of course but by planting your invitations your guests will have a permanent reminder of your wedding day. That's because these beautiful invitations transform into a bed of wildflower or herbs with the right attention and care. If you choose tree wedding invitations like Amy and William, you will have many different options to choose from. There are styles of oak trees as well as birch and other flowering trees. These are available in a variety of different color patters from muted browns to bright, vibrant watercolors. And of course, everything on your invitations is completely customizable from the color and style of the font to the wording that is used. Whether you are getting married in winter wonderland or in the brightness of spring you will be able to find tree wedding invitations that will reflect the season of your ceremony perfectly. With bright colors for spring, hues of green for the summer, red and orange for fall, and tones of blues for the winter, you will have many options to choose from. Your wedding colors and style will be reflected in the beauty of your invitations and everyone will be able to see what you have always envisioned for your wedding day. When you're planning your wedding, you want it to be perfect. That means that down to the last detail you want it customized exactly the way you've always planned. These tree wedding invitations were exactly that for Amy and William and they just might be that for you as well. So make sure to take a look at the beautiful options available for your wedding with ForeverFiances. Kimberly and Matthew just personalized their mason jar wedding invitations for their country style blue and green wedding. The natural background style of these invitations along with the mason jar and hearts decoration helped them to show their love for each other and the outdoors in the style of their invitations. These invitations were made especially for them in a design that they chose. Being able to customize the color and font allowed them to showcase their wedding colors from the very first part of planning their wedding to the end. It also allowed them to showcase their personal style and the look they wanted for their event. Planning a wedding means that you need several different types of paper products. You'll need place cards, invitations, reply cards, and thank you's. ForeverFiances offers all of these things in the exact same patterns. That means you can get a full set of every paper item you'll need from the beginning to the ending of your wedding that matches perfectly down to every customizable detail. So Kimberly and Matthew were able to keep their mason jar wedding invitations from their save the date cards before the wedding to their thank you cards after. ForeverFiances isn't like the other invitations that you've looked at. In fact, they're very different from these other types of invitations. One way these invitations are different is that they are embedded with wildflowers or herbs so everyone that you invite to your wedding gets something to remember you and your special occasions by. 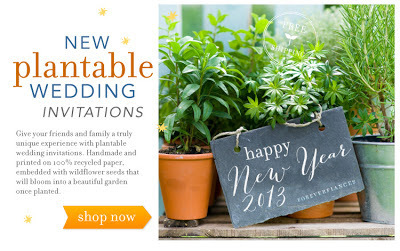 These plantable wedding invitations ™ are beautiful when they are delivered in the mail and they will be beautiful when they grow into flowers and herbs. Another way they're different is that every invitation that you buy from ForeverFiances is handmade with custom colors and print styles. You can customize your invitations to reflect your personal style and to show others what you want for your perfect day. 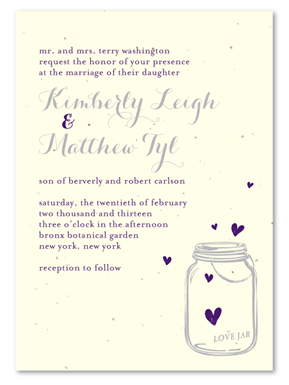 You also have the option to purchase non-plantable invitations that are simply a beautiful keepsake for your guests. 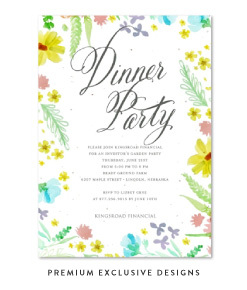 Either type of invitation is 100% recycled and therefore great for the environment. A Wonderful New Wedding Trend: Invitations You Can Plant! What are plantable wedding invitations™? This new trend is taking the wedding world by storm by giving engaged couples the opportunity to brighten the lives of their wedding guests for a long time to come. Plantable wedding invitations™ can be buried or potted in your lawn or garden and will blossom into beautiful flowers, representing the enduring love of a lucky couple. How does it work and what is it all about? Plantable wedding invitations are inked on special "seed paper" that disperses a handful of ordinary seeds when planted. This seed paper is ecologically friendly, typically made from recycled materials without any extraneous chemicals or processing. Embedded inside the paper is a small collection of seeds. As the paper wears away naturally after being planted, the seeds will be freed from within and take root in the ground like any other seeds. With proper attention and watering, they will quickly germinate and then blossom into fully grown plants -- bringing joy and love to your wedding guests while reminding them of your special day! What Kinds of Seeds Are Used in Wedding Invitations? Couples typically choose beautiful and colorful wildflowers for their plantable wedding invitations. Many seeda can be used, but wildflowers germinate soon after being potted and create a breathtaking profusion of color that many couples feel will represent their blooming love very well! Because seed paper is such an environmentally sound product, you'll find a wide range of seeds to choose from. Such variety provides hundreds of ways to express the personalities of the loving spouses. Vegetable seeds are sometimes used when the wedding party is particularly fond of the organic, Earth-friendly lifestyle. What Advantages Does Seed Paper Hold Over Traditional Wedding Invitations? Plantable seed paper invitations can be just as beautiful as traditional invitations; your imagination is the only limit when it comes to the colors, lettering and other factors that make ordinary wedding invitations a cherished keepsake. However, plantable invitations have many advantages over conventional ones. Conventional wedding invitations are sometimes kept by their recipients -- but they are lost or thrown away by many. Plantable invitations give wedding guests the chance to add something new and beautiful to their lives, just the way the brand new couple is doing. This is the equivalent of giving each guest a thoughtful gift. 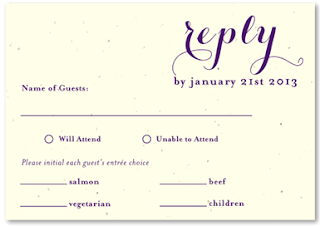 Plantable invitations are unlikely to be misplaced, since recipients are likely to carefully copy down the wedding information before planting their invitations. 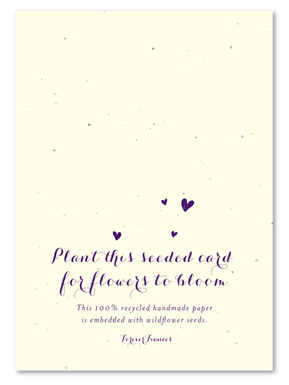 These invitations are also a great way of showing how much you care about the environment and helping your friends and family to do the same by planting seeds in your honor!